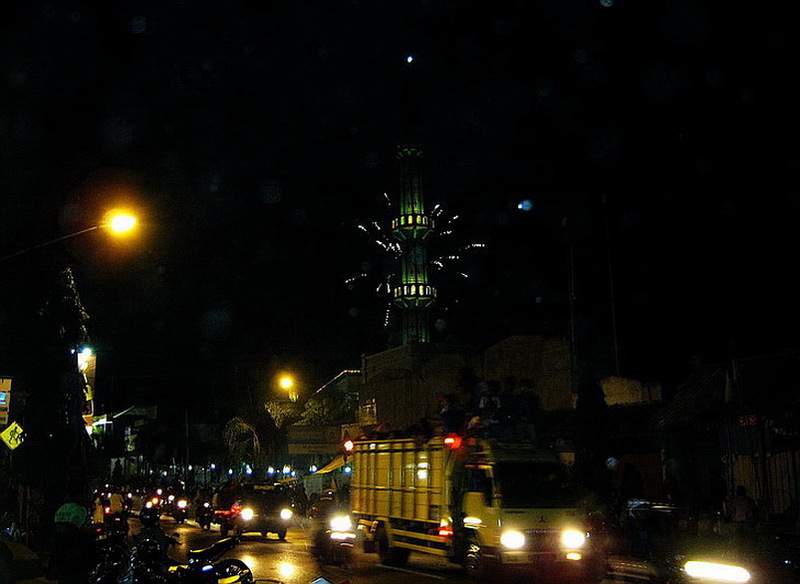 The night before Eid ul-Fitr in my husband’s home town (Bumiayu, Central Java, Indonesia) looks like a New Year celebration. I could see fireworks here and there. Some people were wandering the city –walking or riding vehicles- to state their happiness and welcoming the Feast Day. 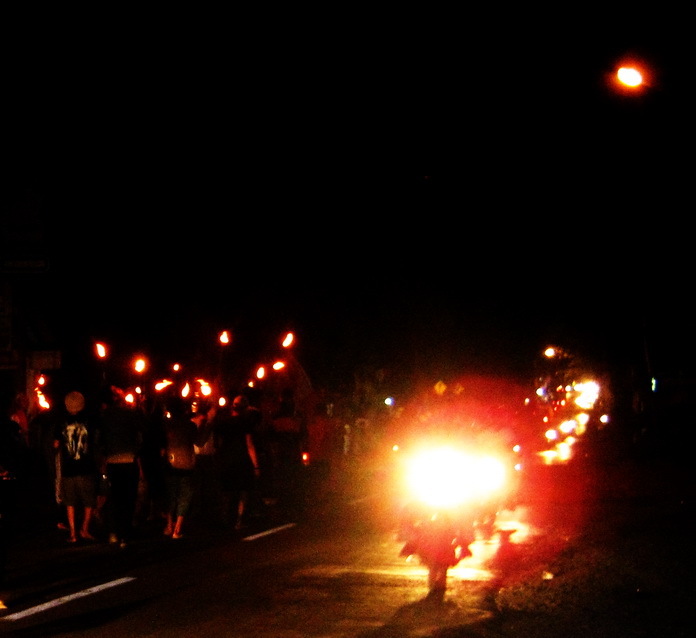 I'm most interested with a group of people who wandering the city on foot while holding torches. 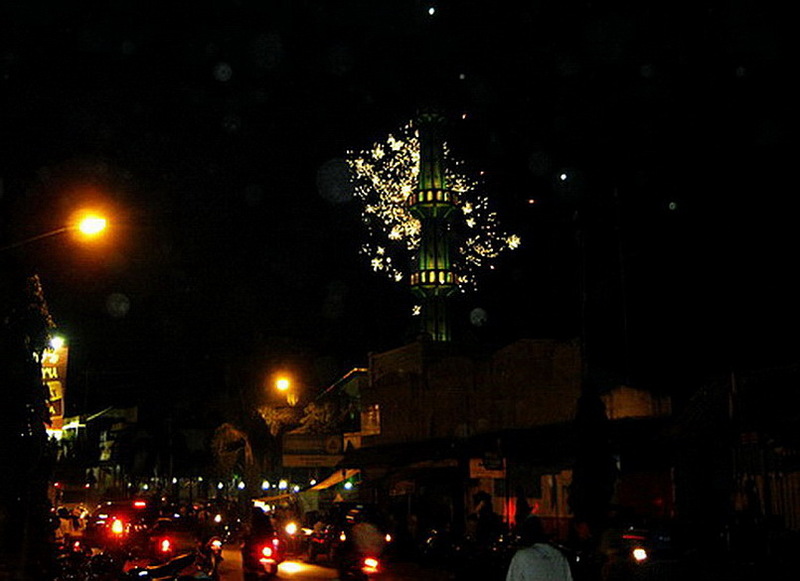 Interesting night shots, I hope you enjoyed your celebrations. I love fireworks but can't wander the city on foot, I may get burn ^_^ Happy weekend! Gorgeous sky shots, thanks for sharing! Sky watching on one fine afternoon, you visit will mean a lot. Have a safe weekend. eid'l fitr is most awaited celebration for our muslim brothers. 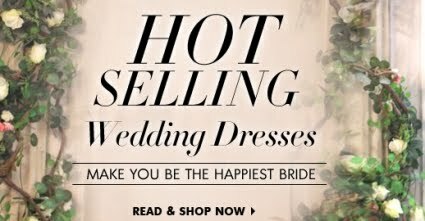 so much revelry. Such a lovely celebration. Beautiful photos. that was such a happy celebration!